If you have any questions about the service, please ask in the chat. • accelerated training of the crew from the first fight. 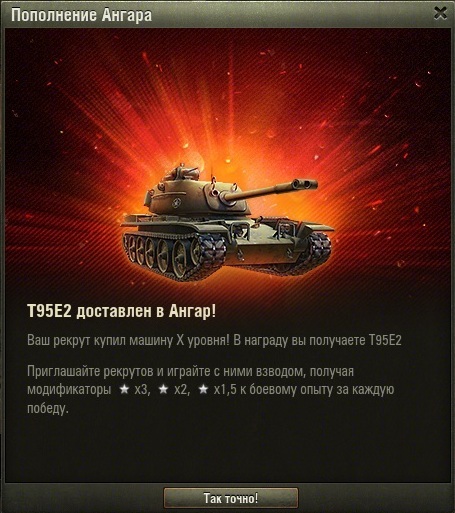 Description of goods delivery: You take on the role of a recruiter ( invite to the game worldoftanks from the personal Cabinet on prepared by us mail). We train a recruit to level 10 in the period of 12-20 days, after you buy the tank at level 10 and You get a T95e2 tank in their garage. Statistics of the passage is evident from the personal account + in game client you can see the process constantly. Great experience guarantee.